However, this article will present information on Tribal Chairman candidate, Dave Archambault, II’s traditional leadership heritage, although it should be said, having Chief heritage is not necessary to be a leader in any ethnic group, but Dave’s family history is interesting for those who think family status is important, because DNA is a reality and can play a role in the genetics of kin-folk. Probably the most powerful Lakota Chief in the mid-1800’s was Old Smoke. He led the largest village of Oglala’s. It had around a thousand lodges, which means eight to nine thousand people. He was a signer of the 1851 Treaty. Red Cloud was one of his sons, and Jenny Yellow Elk Woman was his daughter. She married John Y. Nelson and their family picture is featured above. 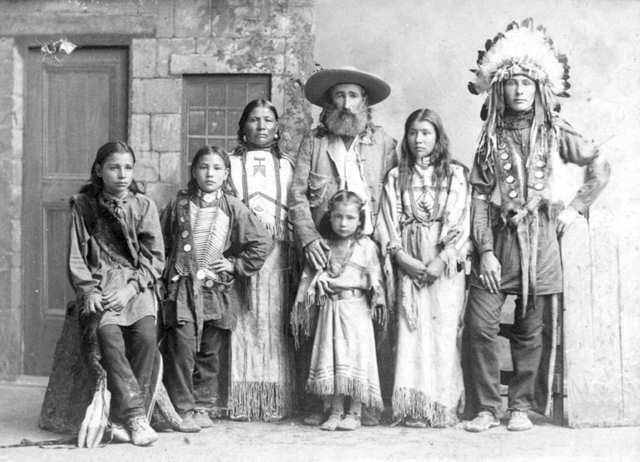 Dave’s great-great-grandfather, John Y. Nelson, Jr. , is the young man with the headdress on. Old Smoke also fathered another famous Chief. His name was Lone Wolf, who ended up being with the Kiowa Tribe, and this is where the famous court case LONE WOLF v. Hitchcock comes from. In addition, Dave’s great-great-grandmother was Ida White Eyes, when nine years old, was one of the Cheyenne, who were being starved to death by the U.S. Calvary, and escaped from Fort Robinson in the winter of 1879. Her mother was Mary Yellow Wood and the daughter of White Horse, who led the Dog Soldiers Society with Tall Bull and Roman Nose. History is full of their deeds as leaders of some of the fiercest fighters in recorded history. Dave’s mother’s birth certificate reads, Betty Jean Star Yellow Wood Nelson. Betty’s great-great grandmother Mary Yellow Wood and her mother Grey Cow helped bury Crazy Horse when he was buried the first time at Beaver Wall just outside of White Clay. This all eludes to Dave’s mother’s direct heritage to White Horse, Old Smoke, and Red Cloud, and close ties to Crazy Horse’s family. On Dave’s father’s side, Dave Sr.’s grandmother was Frances Striped Cloud. Her mother was Mary Catkawin Bull Head, whose father was Peter Bull Head. In the 1881 Sitting Bull Surrender Census, Peter is listed as the Chief of the Bull Head band. On Dave Sr. mother’s side, Kills Eagle was Chief of the Blackfoot band and a signee of the 1868 Treat. Kills Eagle’s daughter, married Jacob Halsey. They had two sons, William and Charles. 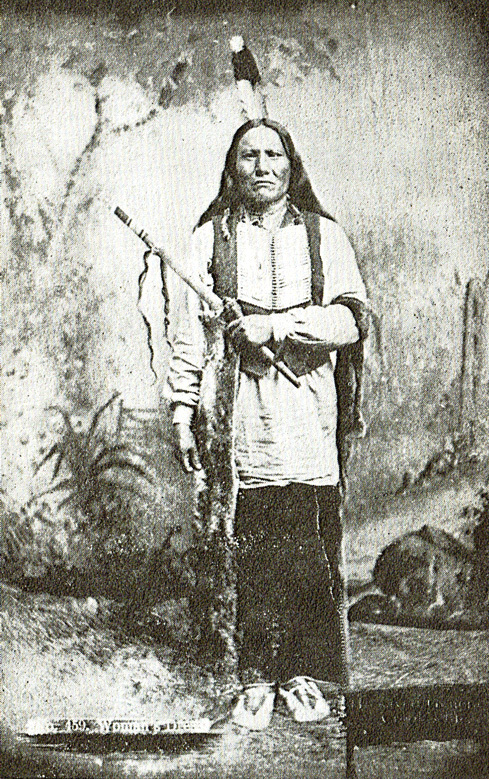 William was Sitting Bull’s most trusted interpreter in his dealings with the federal government. According to Dave’s mother, Lillian Halsey and other family members, Kills Eagle was their relation by way of Jacob’s wife Marie Red Squirrel Woman. Dave’s mom also spoke of headman White Ghost as being a relative but this ancestry is hard to verify because records are very incomplete because many records just say “Indian Woman” or names were misinterpreted by registering clerks, so parents and grandparents can’t be verified. Another leader Lilly’s grandmother spoke of was Fire Heart, who was a signor of the 1868, where only Chief’s or Headmen were authorized to sign. One the contemporary or modern side of Indian Leadership, Dave junior’s father, Big Dave or the Old Guy or alias Joe Bucking Horse, is a first cousin to J. Dan Howard. Danny’s mother was Mary Halsey and her sister is Lillian, Dave, Sr.’s mother. Dan Howard was an early leader of the Standing Rock reservation. He was tribal chairman from 1955 to 1956. Below is a quote from Vine Deloria, Jr. in his book, “Custer Died for Your Sins”. As stated, being born under the star of a leader, does not make one shine. Leadership in the old days was watched for by the women in every camp. They looked for the qualities that the children were exhibiting. Later, in the Lakota matriarchal societies, women chose their headmen to represent them, based on the attributes the boys and young men demonstrated. For this tribal chairman election, tribal members are asked to look closely at each candidate. For information on Dave Archambault, II, go to www.darchambault.com. This entry was posted in Uncategorized, Values by davesrst. Bookmark the permalink.